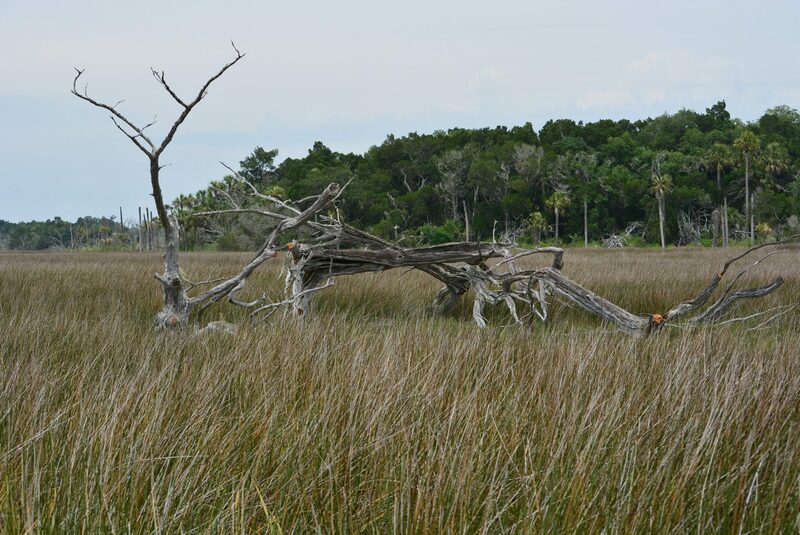 I’ve long contended that the red cedar driftwood found on Florida’s northern Gulf Coast is the finest in the world for creating driftwood furniture. Not only is the size of the trees ideal & the color striking, it is where & how it grows that makes it ideal. For many years I was able to take my small boat & collect the choice pieces myself. As I’ve mentioned in a previous post I now buy my wood from a gentleman who has lived in the area his whole life as a commercial fisherman & collector of driftwood. 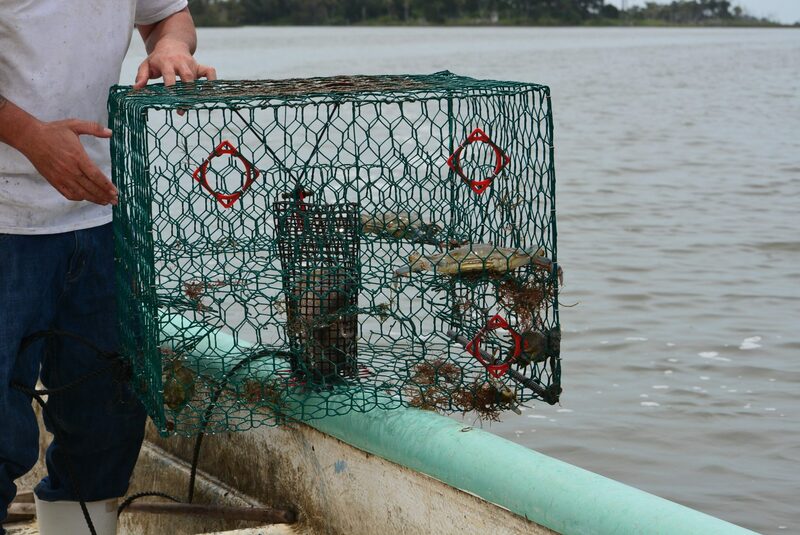 He followed in the footsteps of his father who still harvests the blue crabs & assists his son in his driftwood business. 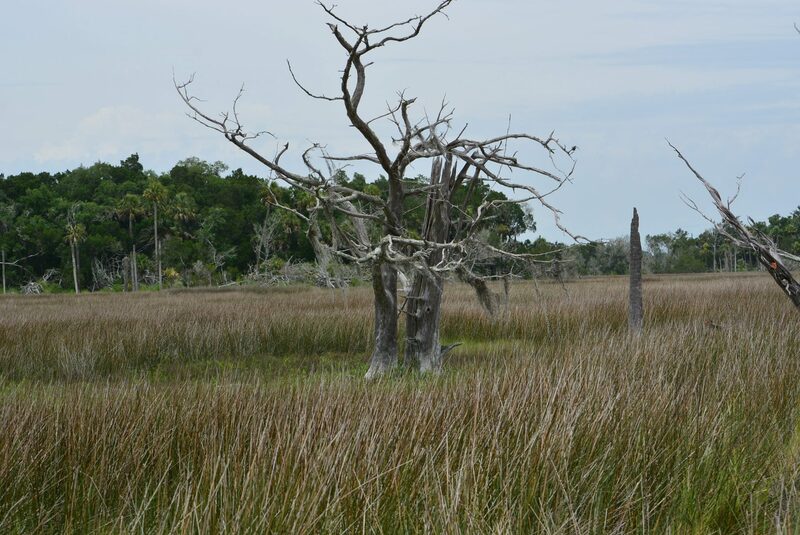 Some of the driftwood comes from his own land & off the islands that they have permission. This past week I made a trip over to the coast to obtain another trailer load of wood they had for me, but this time I stayed the night & went out with them on their boat the next day. The incoming tide that day was high which enabled us to get back into some areas that are usually not navigable. 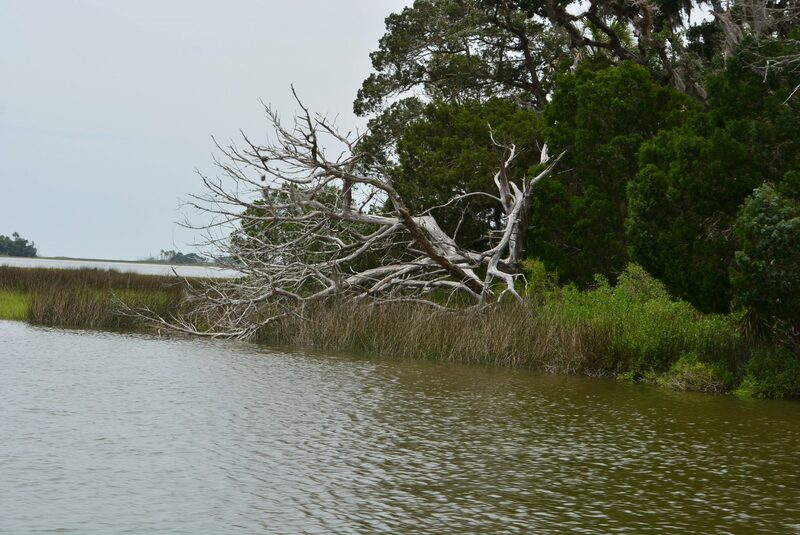 Along the way we passed a few islands that had solitary dead trees still upright & they checked one of their blue crab traps to see what had made their way in overnight. We soon made our way back to the area they wanted to access. 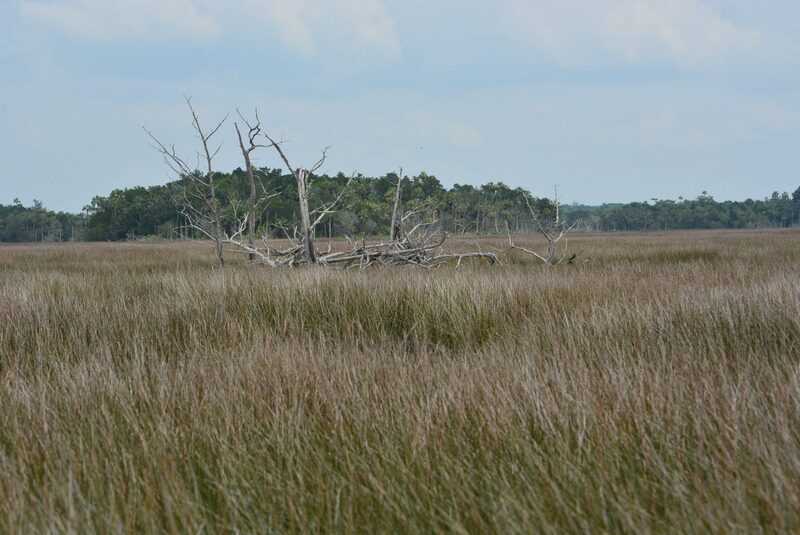 This part of the coast has what’s called rivers of grass or sawgrass…aptly named as you realize when you walk thru it. 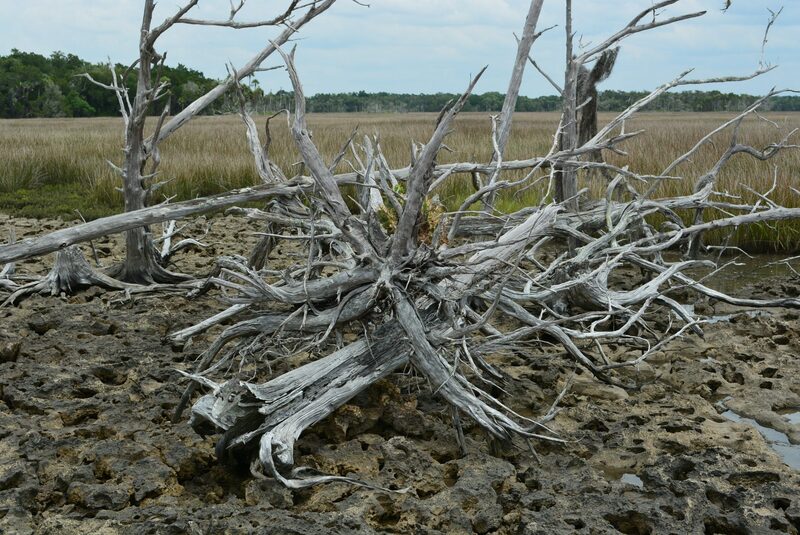 Although there are quite a number of larger islands among the meandering waterways & rivers of grass that display a full array of live trees & vegetation along with the occasional sun bleached but yet still standing dead red cedar trees, you will also see small isolated stands that looks like a driftwood graveyard. 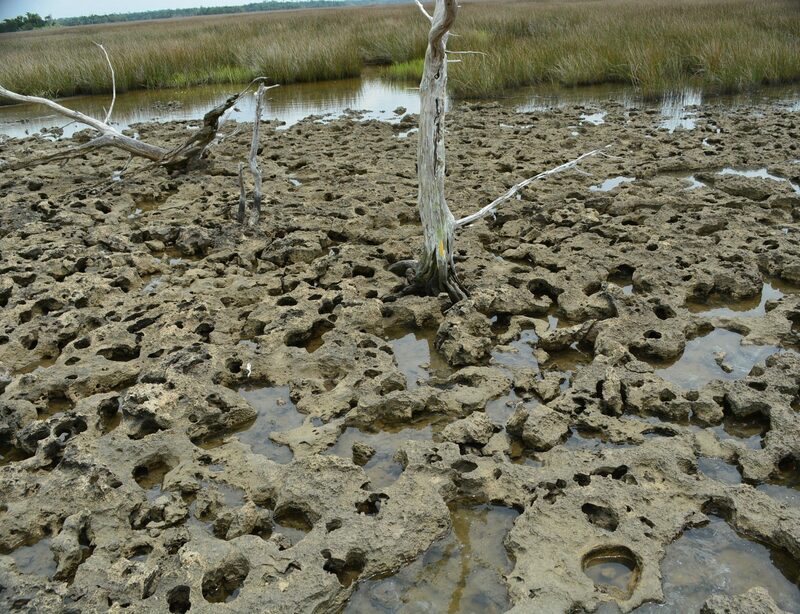 Because of the pockmarked, Swiss cheese looking surface these trees are forced to grow, their roots cannot go deep into the ground but along the surface twisting & turning as they look for nutrients to sustain themselves. 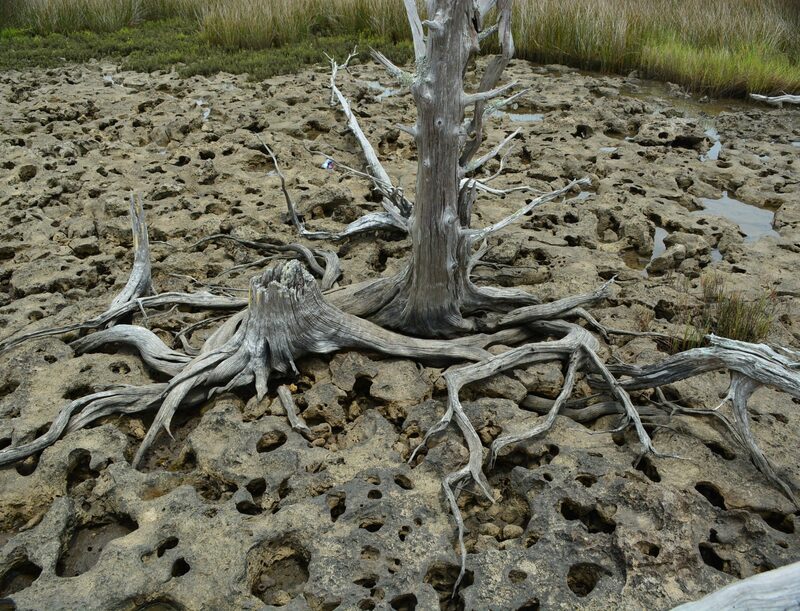 When the soil completely washes away the trees can no longer survive & are left standing waiting for the elements to turn them into a driftwood bonanza. Fortunately for me the resulting fan like root system is the ideal medium for creating driftwood tables & lamps. 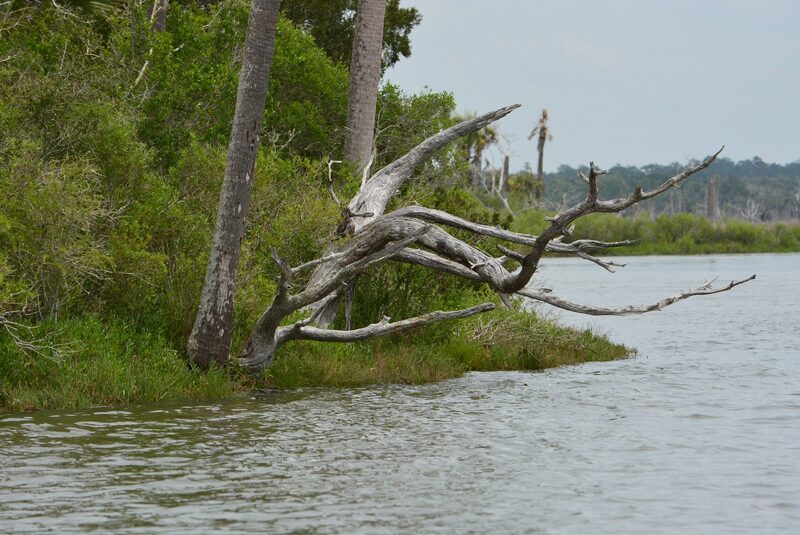 We got the boat as close as we could to this “honey hole” as the guys like to call these little tree stands & walked over to see what treasure was lying in wait. Part 2 to soon follow.